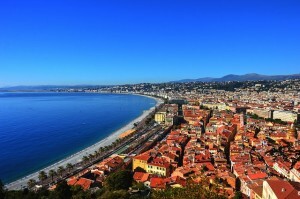 By reputation, the French Riviera is a place for oligarchs and billionaires, socialites and celebrities – a place of decadence, glamour and stunning belle époque architecture. Less charitably, author Somerset Maugham once described it as a ‘sunny place for shady people’. But how true is all this today? Is the French Riviera seriously only for the mega-rich, or are there accessible parts for the rest of us? The French Riviera, or Cote d’Azur as it’s known in French, has no defined borders, but it’s widely accepted that it stretches from Menton in the east to St Tropez in the west, incorporating the principality of Monaco, the city of Nice, and glamour-spots such as Cannes, best known for its annual film festival, in fact Cannes is increasingly popular for global conferences, which makes it an excellent choice for property investment. World renowned International Property Exhibition MIPIM is due to exhibit in Cannes on the 13th March 2018 for 4 days. 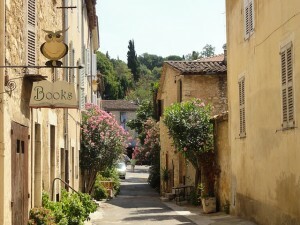 How far it reaches inland is up for debate, too, but the perfume city of Grasse is included, as well as Fayence, Mougins, Valbonne, Vence and Europe’s equivalent to Silicon Valley, Sophia Antipolis. For many reasons – the hours of sunshine, the light and the dazzling coastline among them – the area has long been frequented by artists and authors, and this remains the case today. Ruby Soames, prize-winning author of Seven Days to Tell You and Mothers, Fathers and Lovers, has lived in Nice since 2010, having moved from Aix-en-Provence. ‘With teenagers, city life is more exciting, we’re less dependent on the car and, for my husband’s work, it’s easier to zip to and from London,’ she explains. 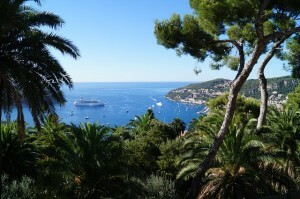 The Riviera’s glorious coastline is particularly a draw for those who love sailing. Having lived and travelled all over the world, Liz Murphy and her retired sea captain husband Quentin chose to settle on the French Riviera, but wanted a berth for their boat, as well as a home. With work opportunities, good schools, a vibrant community atmosphere and wonderful weather, it seems there’s plenty on the Riviera for everyone, and not just the mega-rich.